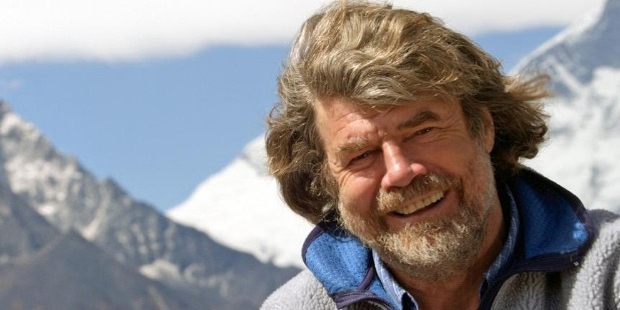 Reinhold Messner is the greatest mountaineers of all times. Messner is an explorer and adventurer and has authored several books. The Crystal Horizon: Everest is his most popular book. Reinhold was born on September 17, 1944, in Brixen, Italy. His father Josef Messner was a teacher. Reinhold and his brother climbed mountains, including the Alps as children. Reinhold went to the University of Padua, but did not complete his graduation. Instead he chose to pursue his passion for adventures. 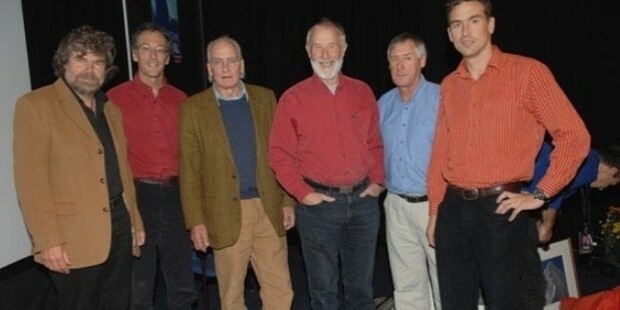 He and his brother started their career in mountaineering and were rated among Europe’s best climbers. His brother Gunther died two days post their Himalayan expedition in 1970. Reinhold suffered from frost-bite and lost seven of his toes. He did not quit. Reinhold has achieved great success as a mountaineer because of his perseverance. Reinhold set a record by successfully climbing Mount Everest without the use of supplementary oxygen in the 1970s. This was the first time that someone had climbed such great heights without any supporting aids. In 1986, he became the first person to have completed climbing all the fourteen peaks 8,000 metres high and above sea level. Reinhold contested the 1999 Parliamentary elections and was elected as a Member of the European Parliament. He completed a 2,000 kilometres expedition through the Gobi Desert, on completion of his office term in the European parliament. Messner has authored several novels based on his experiences. His books have been translated into other languages. 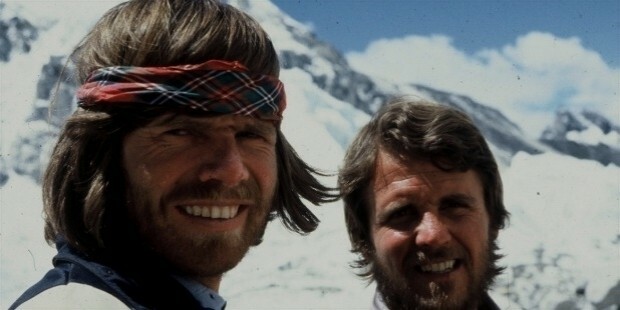 Messner wrote ‘All 14 Eight Thousandeers’ in 1987, after his mountaineering expedition of 1986. Reinhold was one of the founders of Mountain Wilderness, an international NGO, which aims to protect the mountains worldwide. He featured in the Werner Herzog’s film ‘The Dark Glow of the Mountains’ in 1984. 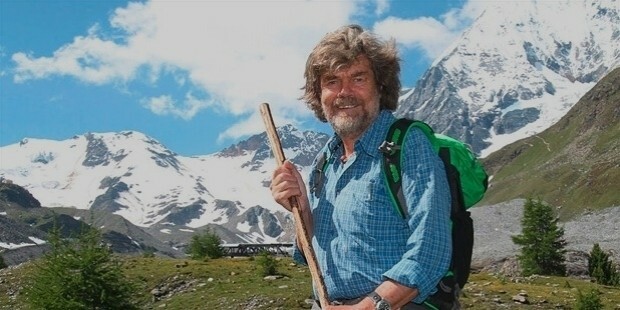 In 2006, he opened the Messner Mountain Museum. The museum exhibits the stories of the growth and decline of mountains, the Himalayan region’s culture and the history of South Tyrol. 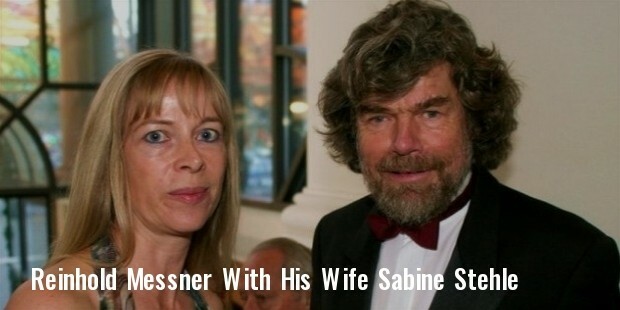 Reinhold Messner married Uschi Demeter in 1972. The marriage ended within five years. He re-married Sabine Stehle in 2009. He has four children; Magdelena, Anna, Layla and Gaesar Simon. Currently, he and his family live in South Tyrol, Italy.